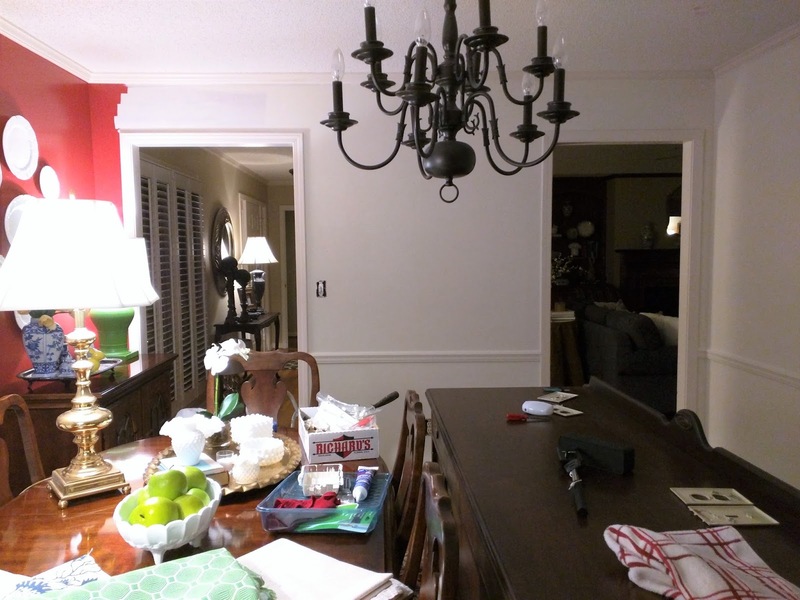 In the midst of the end-of-the-year chaos, I up and decided to start painting my red dining room white. I have wanted to for months. It will be a slow process, but hopefully I'll be done in the next couple of weeks. Until school is out, I only have an hour here and there to work on it. I've been loving all the white walls on Instagram and in the blogging world, so I took the plunge. I'm trying out the white room for myself. Here's one of my many inspiration photos. I'm off to a good start, but I still have about half the room to go. Many of you have asked me on Instagram about covering the red. I hope to have a full report for you soon. Haven't looked at your blog in a while. (Shame on your Mom!) Loved all your ideas. Blessed to have a talented daughter! Blessed to be your daughter! Thank you.